The laundry – a room we don’t often spend a lot of time in, but do pop in and out of on a regular basis. 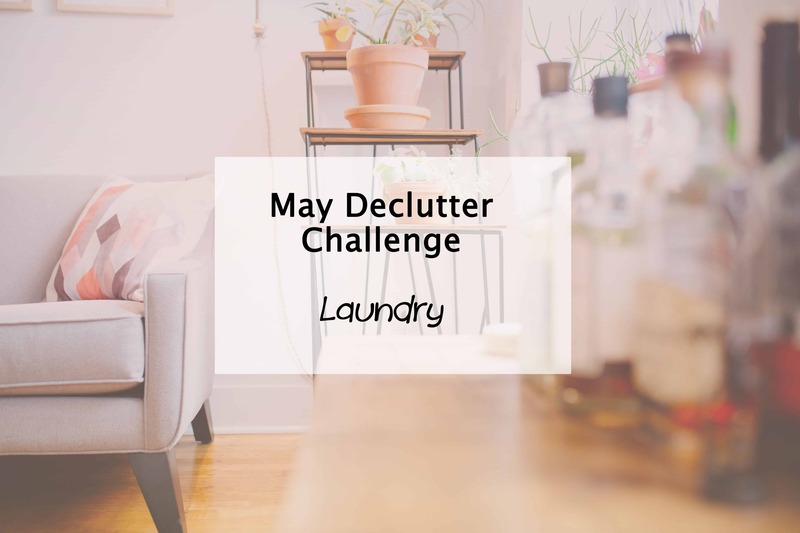 It should be a space well organised and tidy to make life a little easier so this month as part of the Simplify My Life challenge, we do the laundry declutter. A bit of an easier task for most, as the laundry is a smaller and hopefully less cluttered space compared to the rooms we have decluttered so far as part of the challenge. Although many laundries also include the linen closet so we will be tackling that this month too, whether yours is in the laundry or elsewhere. It’s as good a time as any. Check out my own laundry declutter update – thankfully this was one of the easiest rooms to tackle. Wall mounted appliances can create space for storage such as cupboards below. Make use of wall space such as hooks, hangers and shelves. Don’t hoard linen just in case – a few spare blankets and bedding sets are adequate for most households. Consider linen cupboard dividers to keep towels and other linen orderly. 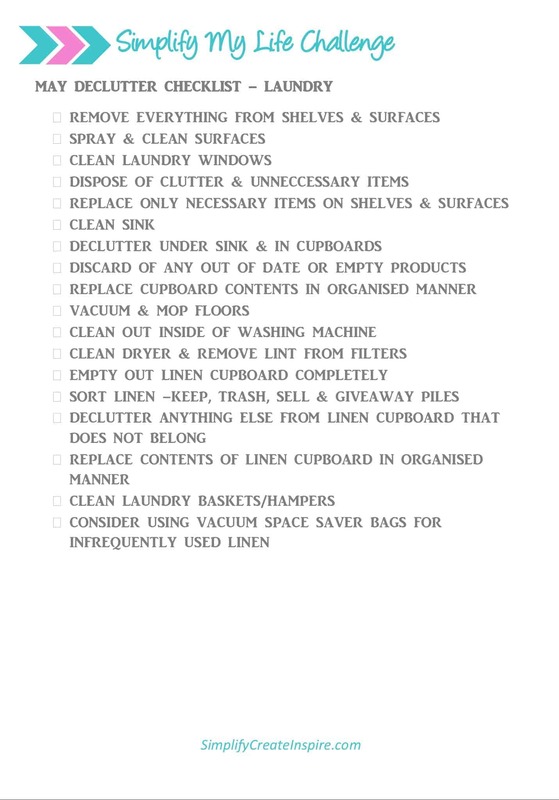 Don’t forget to check out the previous declutter tasks for your printable checklists and tips. You can join in any time, as often as you like or as little. What is your best laundry organising tip? What is the hardest part of your laundry declutter? It’s so funny, organising my laundry is on my to-do list today and I’m procrastinating! I’ll get onto it now. What a coincidence lol good luck & hopefully it’s not such a huge job to tackle. If linen cupboards count as part of the laundry … I struggle to keep mine tidy. I start off with good intentions to keep it organised but it doesn’t take long for it to become a shambles again. Perhaps it is down to my poor folding skills. I count mine as part of the laundry, since it’s in there. Mine was pretty bad. You will see on my update post later in the month. Stuff was just hanging all over the place, shoved where it would fit. Folding is an art. I have taken to putting my quilt cover sets in the pillow cases so I don’t have to pull everything out to find one pillow case or whatever is missing lol Not pretty, but functional. My laundry cupboards need to be ripped out and redone; they are shocking, and so the space isn’t used well. That does make it hard. Hopefully you get some flash new ones sometime not so far away. Oh god, this just reminded me that we literally need to bulldoze our laundry! haha that’s extreme measures. Is it really that bad?